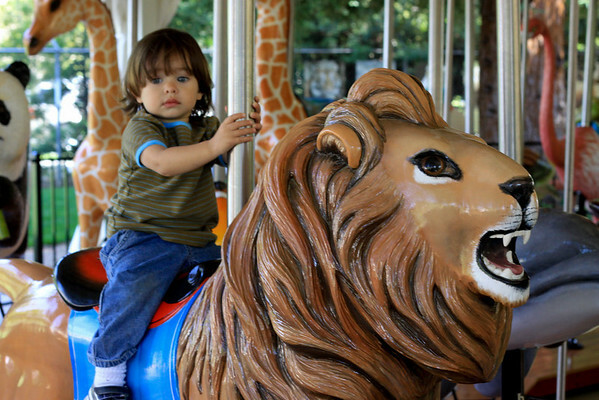 I took the kids to the Sacramento Zoo and Fairytale Town this week in Northern California. A few pointers if you want to head out that way. The zoo itself has no parking lot, so we have to park across the street by Fairytale Town and they had seven, yes, seven Accessible Parking spots for the entire zoo and Fairytale Town. The nice lady at the gate said that the zoo did own the curb in front of the zoo so you could pull over there to load or unload. That didn’t help me much since I was alone with two kids. Both parks have special pricing for guests with disabilities, which was nice because I could only handle a couple of hours before I was done. I did get a pretty good glare at Fairytale Town though as I asked her about accessibility. She thought I was cheating the system, I could tell. But I was so desperate to sit down by then, my feet hurt so bad, I didn’t care what she thought. I appreciated that both parks were fairly flat with no stairs (great with a stroller). They were also fairly small, which I appreciated. The zoo had a fun animal show that we sat and watched for half of and hour. Lots of benches. Hurrah. However, both parks had pretty tricky playgrounds. I had a vision of the kids playing while I sat nearby and got a rest. In the zoo, however, there was this big cement climbing snake/slide thing without handrails that Ian could have seriously conked his head on if he stumbled, and Fairytale Town was full of old-school metal slides that freaked me out. There wasn’t a real area for the littles to explore that had containment so the parents could chill for a couple of minutes. This only matters if you have young kids, though. Overall, we had a great day. 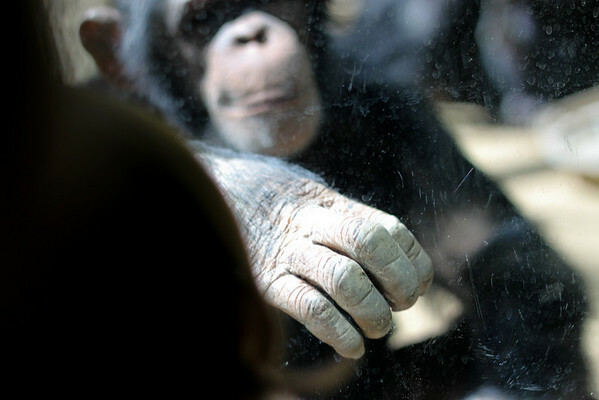 We had a moment where Ian went up to the chimps, who are behind clear plexiglass, and this chimp swung right up to Ian, sat down, and pressed his (or her) hand up to the glass right up against Ian’s hand. It was pretty amazing. I didn’t get a picture of the hands together, but I have the chimp’s hand which I’ll post with the show notes. It was that bridge, that connection again, that we are all together in this journey even as different animals on this planet. We’re not so alone after all. Pretty cool stuff. 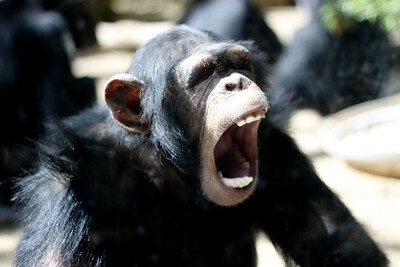 Ian's chimpanzee, or Mee-Mee as he calls the monkeys. I encourage a visit if you’re interested. Ask at the gate for the discount if you feel brave and have a hidden disability (I’m sure they just give it to you with a visible challenge). 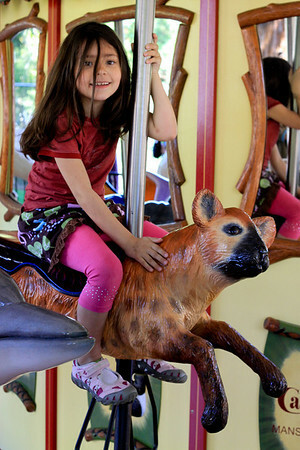 Catch a ride on the very cool carousel that has some stationary animals as well as benches. Anika even got to ride on her current favorite animal, the spotted hyena. Enjoy the adventure.